Since we had to abort the last LBC ride BBB hasn't been in good form. I've taken this opportunity get some serious maintenance & upgrades done. His rear hinge was needing to be replaced as it's recommended to be changed every 2/3 yrs and seeing BBB does a lot of miles & my weight I figured seeing we would be waiting the new rear wheel to get it done. Taken BBB to my local Brompton shop, Londonfields Cycles, where I know my boy will be taken care of. 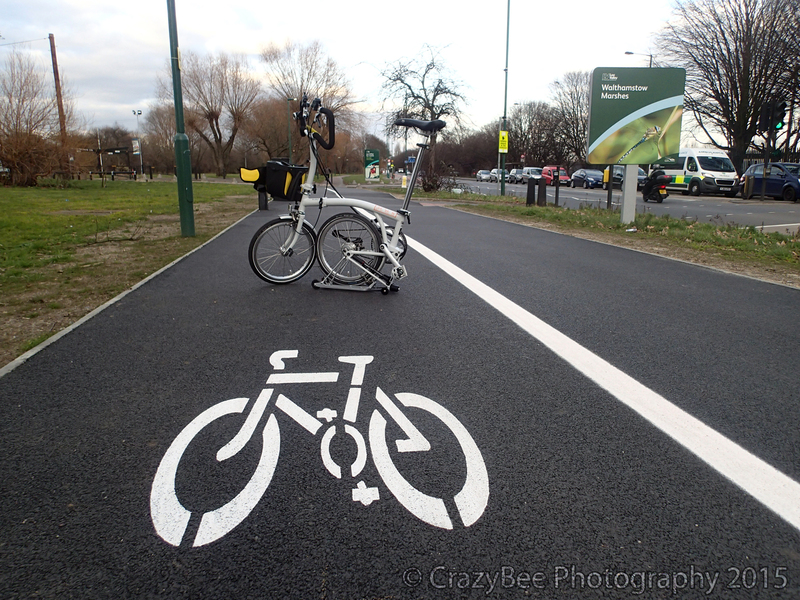 Also at the same time they let me use a demonstrator Brompton. Maybe awhile before the legend is back on the road but I'm really missing him quite badly. I've already noticed that the traffic treats me differently as it's almost as if they don't see me as well as the demo Brompton us a grey blah color. 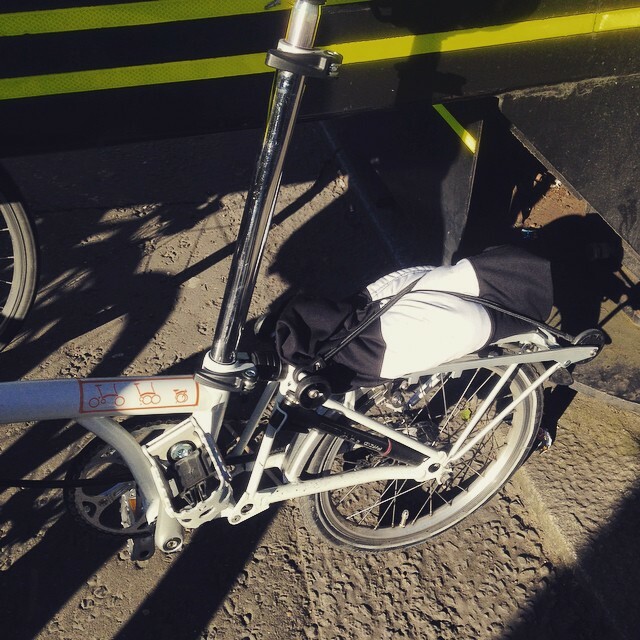 This is the first time of using the P bars on the Brompton it was the only six speed they had. I'm not really comfortable with the bars as it really for me is only one hand position and that's on top. 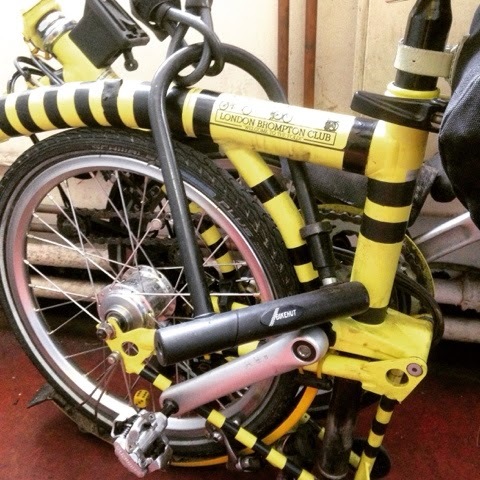 With BumbleB's M bars I had a couple of hand positions with the Crane side grips. 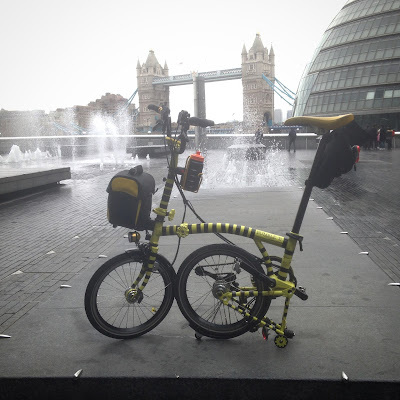 This demonstrator Brompton also has an extended seat-post so sometimes it takes me awhile to get my perfect riding high with the standard seat post I just put it to maximum and it's perfect for me so I had that to niggle with as well. The demonstration Brompton came without lights so I had to attach my Hope Vision One to the P bars and also have to use the my emergency light on my helmet for the for the rear. It also has a rack which tends to make a lot of noise it just needs tightening but I can see it being useful. With BBB being out of action I can honestly say I sure as hell didn't like it and seriously considering getting BBB a younger sibling. 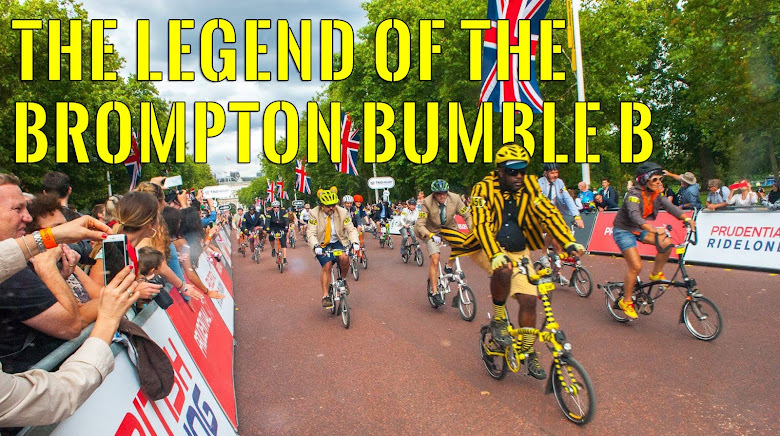 So glad you have the BBB back - I am of the mind that it is both wise, and humane, to have more than one Brompton! 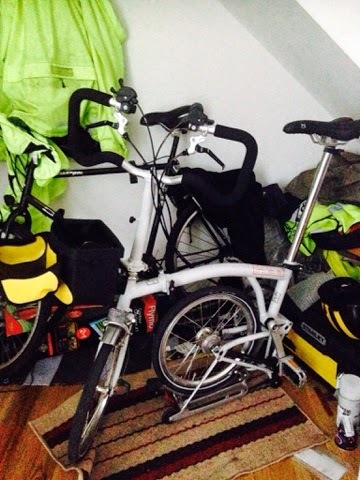 The wisdom relates to the fact that you don't want your ONLY Brompton to feel lonely. The humane aspect is that you never want to be in a situation where you may have to ride 'another' kind of bike if your Brompton is out of action for some reason! Go for it! Get yourself a beautiful younger brother / sister for the legend!